Discount Magic - Cups & Balls Wood. These beautiful hand turned wooden cups and balls sets stack well, have similar grain and are finished in a matt varnish to bring out the woods natural charm. 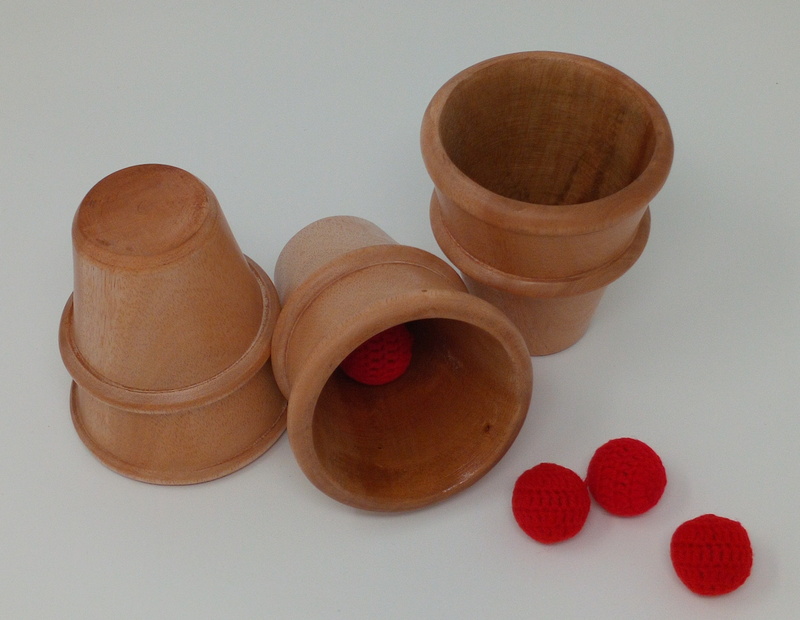 Each set contains 3 well weighted wooden cups, 4 crochet balls and carry bag. Perform the classic of magic with a little more style. Cups & Balls Wood These beautiful hand turned wooden cups and balls sets stack well, have similar grain and are finished in a matt varnish to bring out the woods natural charm.